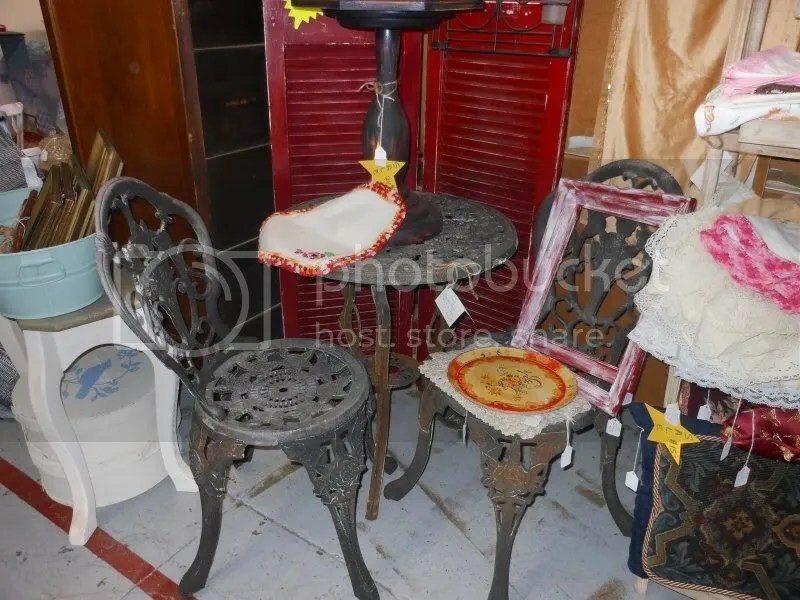 Have I ever mentioned that I have an antique booth at Hermann’s in downtown Brenham? There is a section of the store to the right that houses antique vendors of all kinds. My booth is way in the back in the old meat market section where you can still see the meat hooks hanging from the tin tile ceiling. The history of Hermann’s is so interesting. You have to come see the place. It’s huge. Well, back to antiquities and such, here is a sampling of what I have crammed in my space. Keyed Round Front Solid Oak Lighted Curio, Drexel Heritage Chair Painted with Annie Sloan Chalk Paint and Distressed, White Furniture Company of the Carolinas Accent Table Painted with Annie Sloan. And, many many accessories.. Bright Sunshine Yellow Formica Table from around the late 40’s early 50’s. 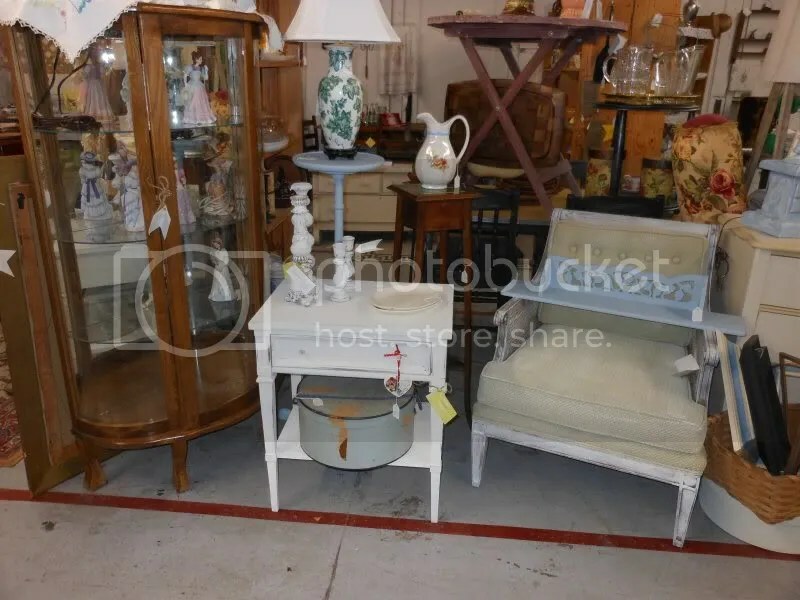 This one is rare in that it has it’s original leaf and accompanied by four Sears and Roebuck Oak Catalog Chairs from the 30’s painted black with Annie Sloan Chalk Paint and distressed. Two tiered black accent table painted in chalk paint. There’s a 1920’s ice bucket and several ice cold beverage pitchers. The lobster platter hails from the paper machiere era and compliments the wooden serving accessories. There are six snack plates with pineapple serving bowls and a few platters. These would be great pool side or porch. I have tons of linens made by my grandmother that have been embroidered and crocheted. Table cloths, round and square, dish towels, pillow cases and even towels are there. 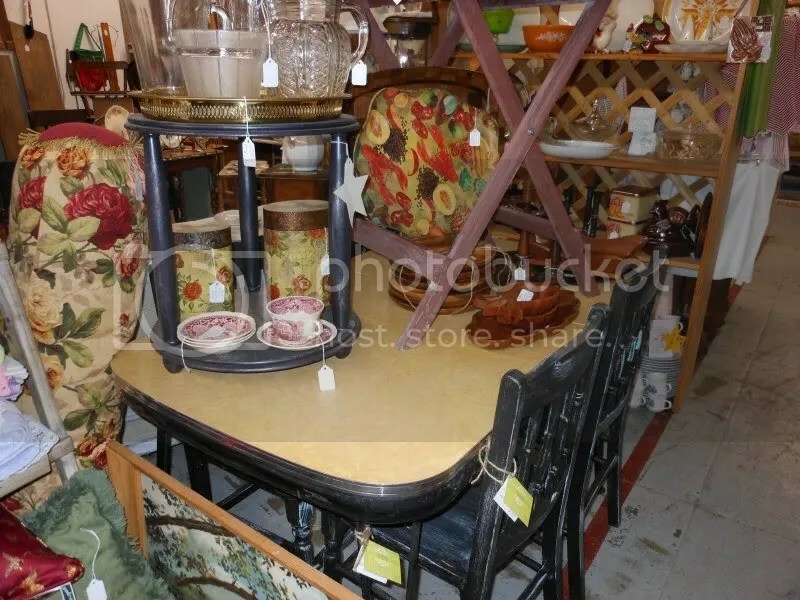 Next to the linens is an old iron bistro table and double shutter in red. …A better glimpse at the bistro set. An 1800’s armoire, with dove tail drawers on the left and cedar lined hanging clothes area on the right, still has it’s very own skeleton key. 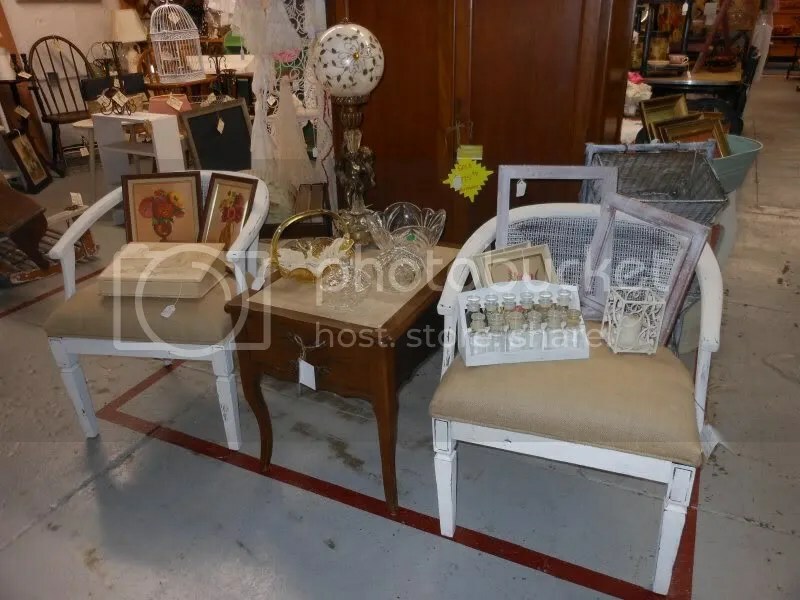 The chairs are cained and painted with white chalk paint. 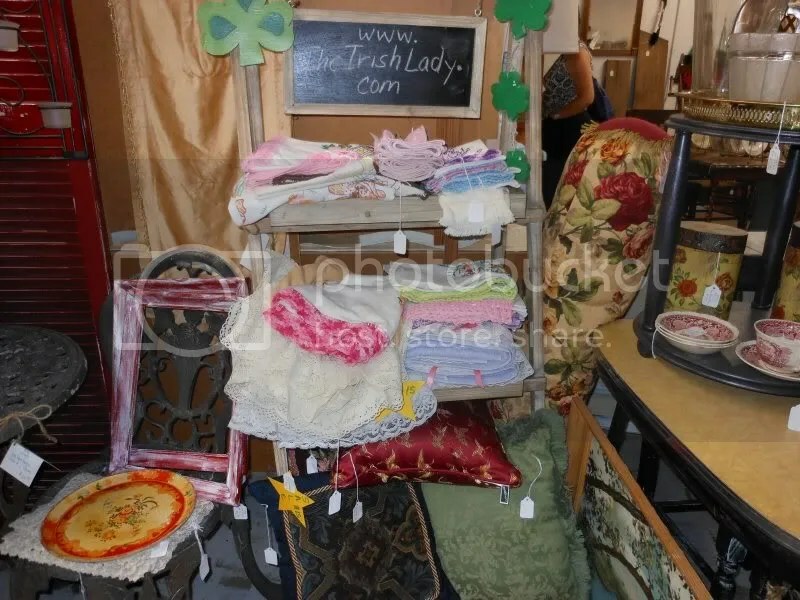 Come visit The Irish Lady at Hermann’s Antique Mall, Downtown Brenham, Texas. Next Post Country Living Fair and Bribery to Get There! Tikaa referred me to your blog; I like your space.